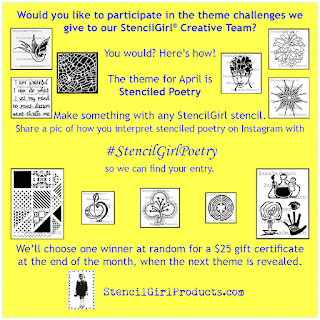 StencilGirl Talk: Stencil Poetry - "Have You Earned Your Tomorow"
Stencil Poetry - "Have You Earned Your Tomorow"
Hi friend. 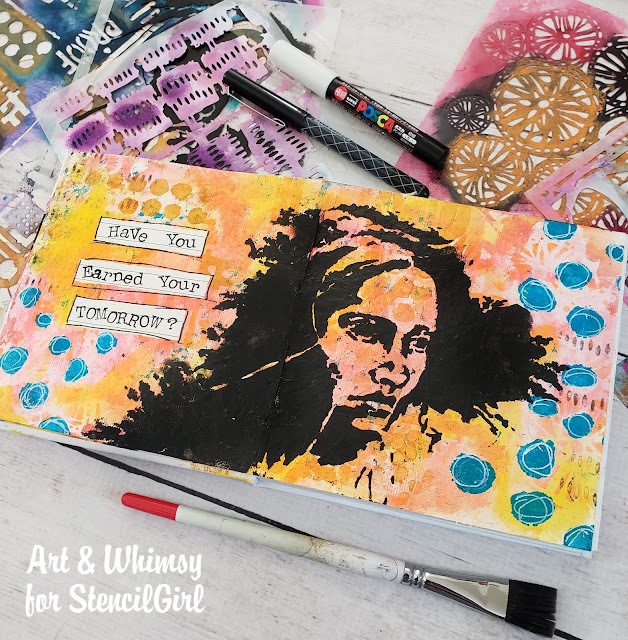 It's Belen with Art & Whimsy here and today I'd like to share an art journal spread inspired by a poem that I enjoy called "Have You Earned Your Tomorrow" by Edgar Guest. 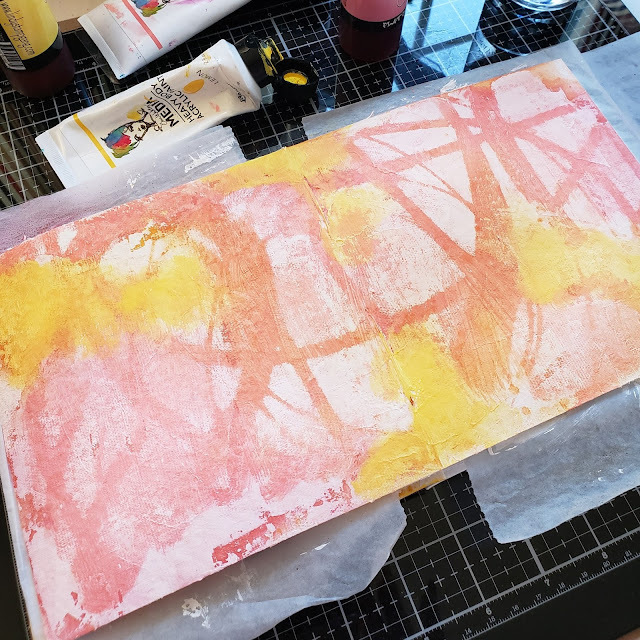 I started with a base layer of inks and acrylic paint over gessoed pages. 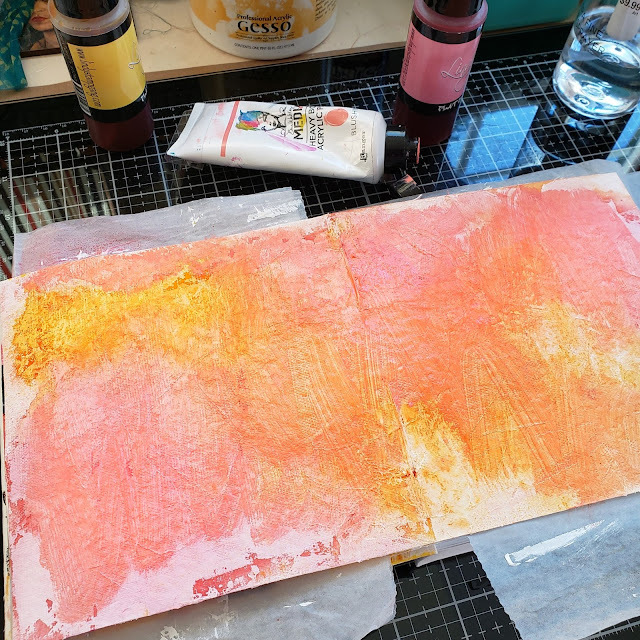 I added a layer of gesso in random places to help unify the colors. 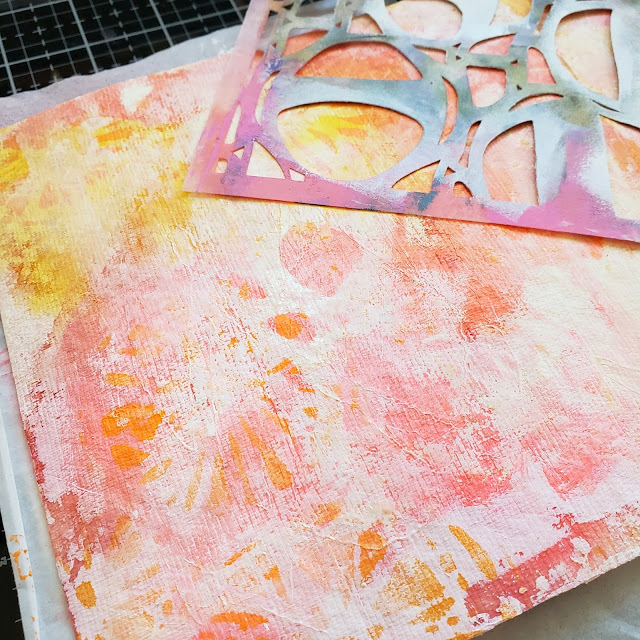 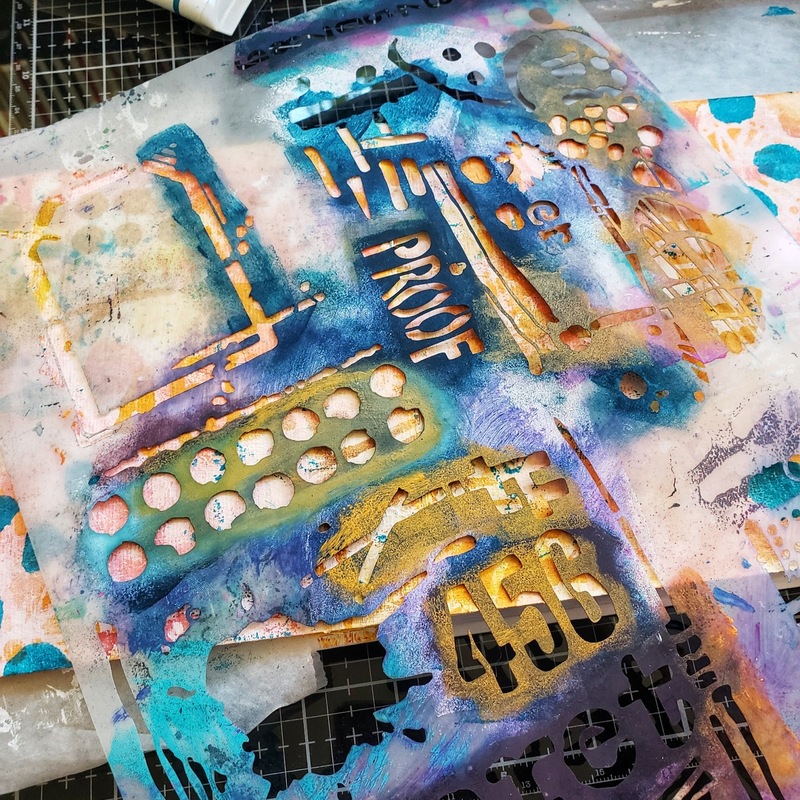 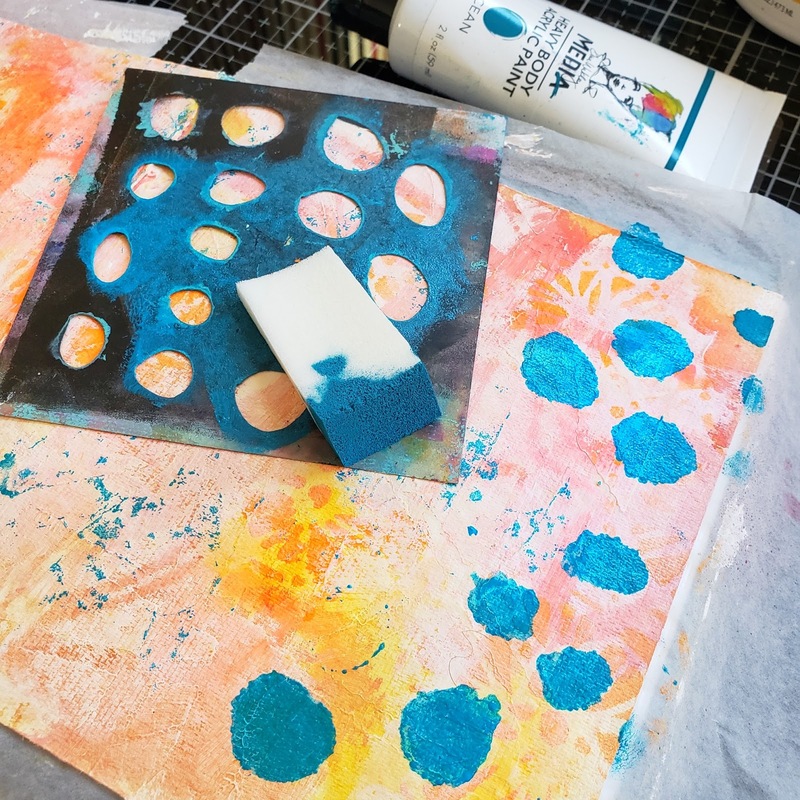 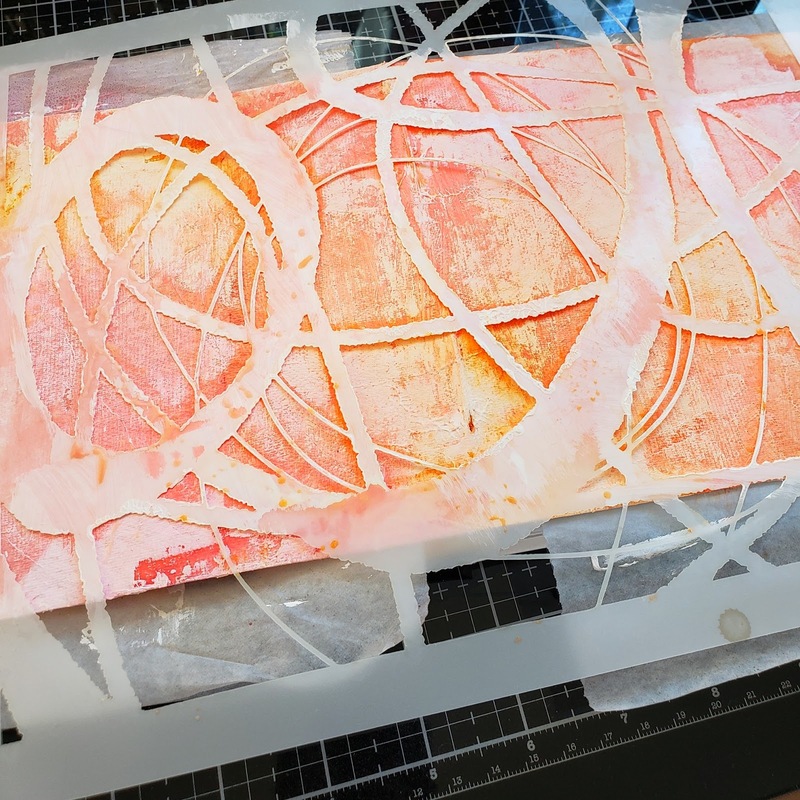 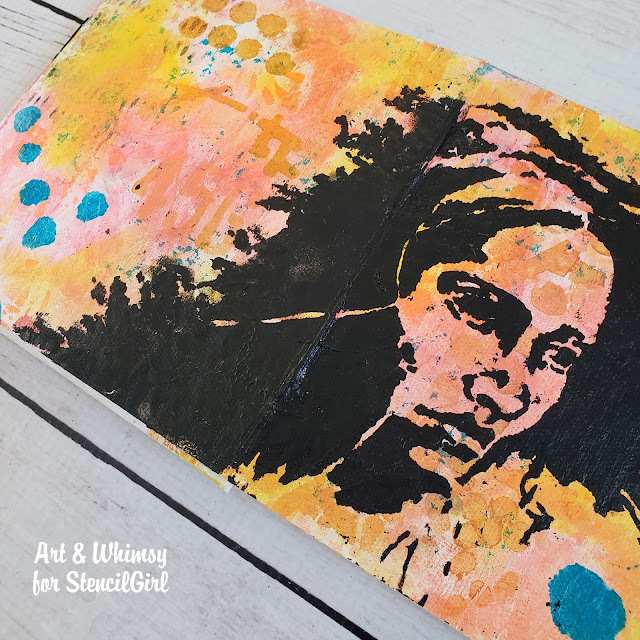 Once that was done I used various stencils, like this one from the December 2015 exclusive StencilClub kit, and wiped off the gesso with a baby wipe to add great texture. 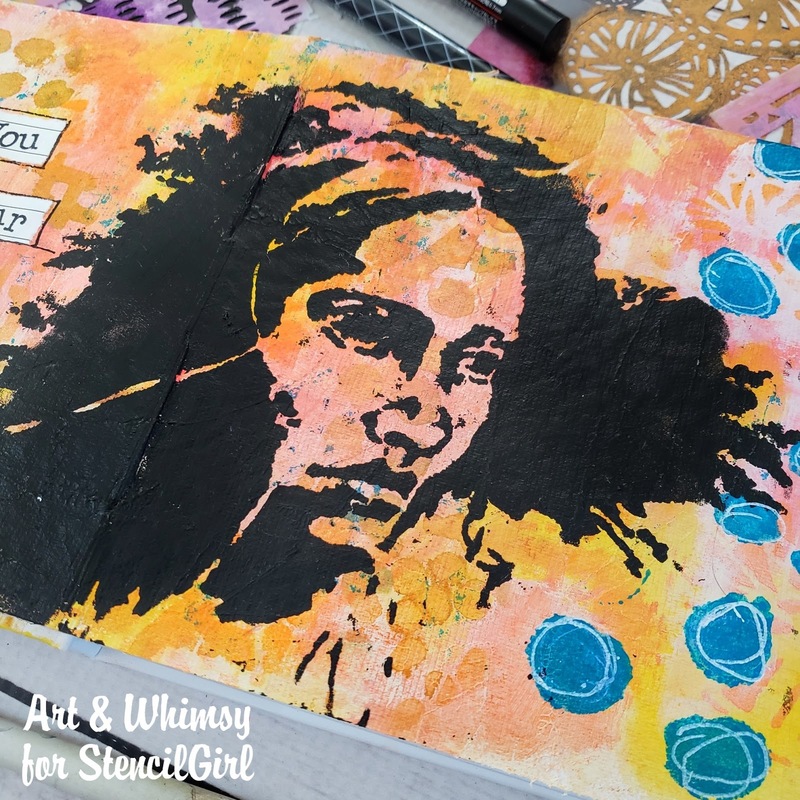 Next, I added some contrasting color with the Bittersweet Mini stencil. Next, I used an exclusive trade show stencil by Seth Apter for more texture. 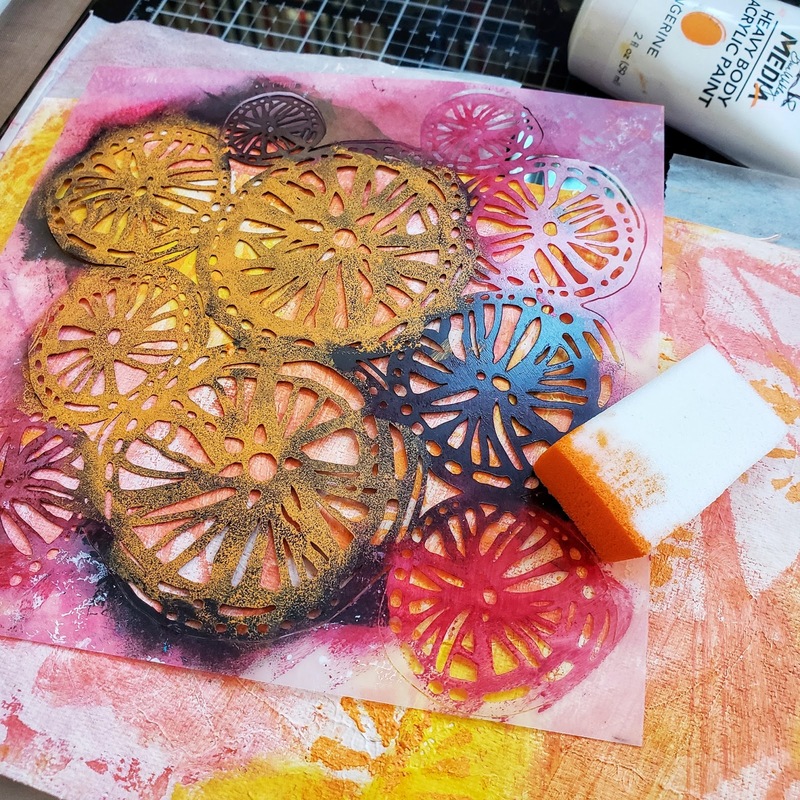 Similar stencils are Numbers and Inside Out. For my main focal point, I used the Remember Face stencil by Pam Carriker. 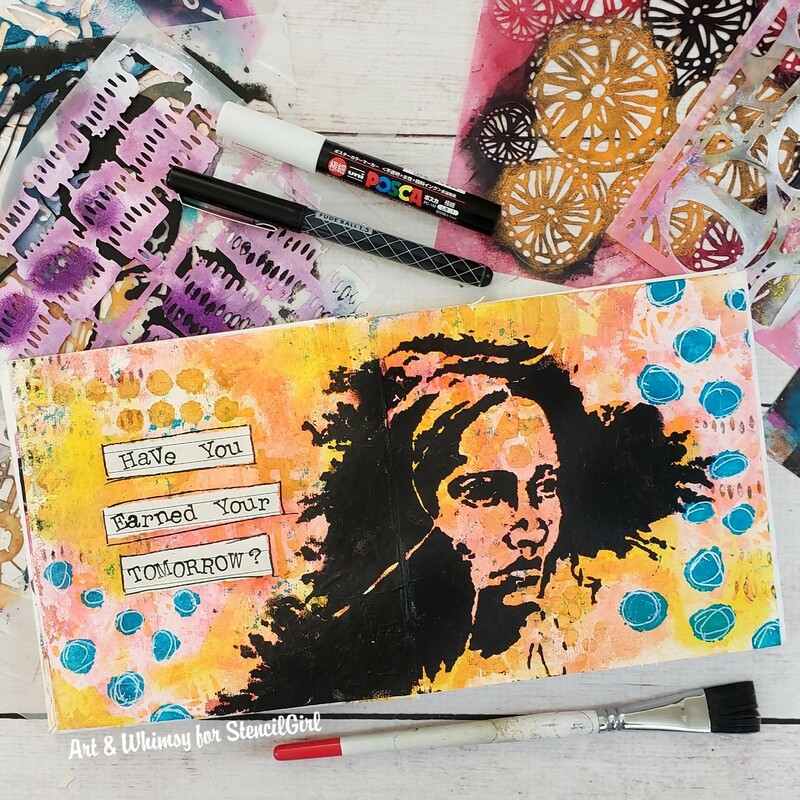 To finish it off, I stamped out the title of the poem and added some mark making with the Grid A1 stencil and some markers. 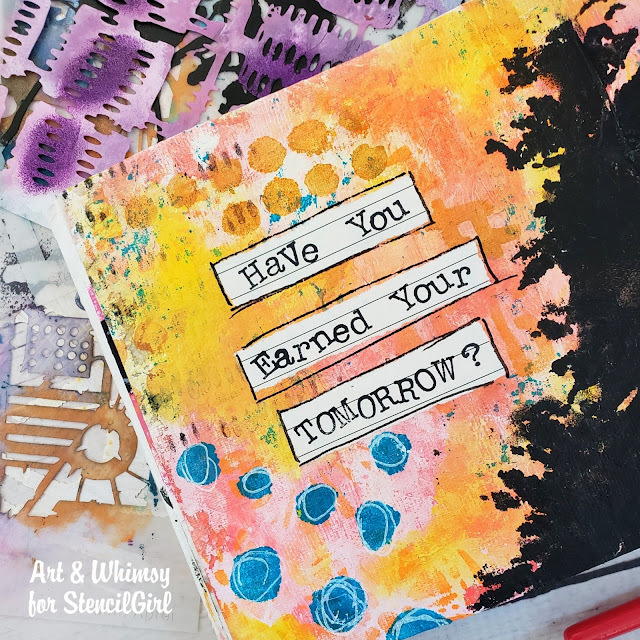 "Have You Earned Your Tomorrow"